Julie Bainbridge is a scriptwriter based in South Wales whose plays have been produced in Cardiff, Bristol, Bath and London. This year The Writers Guild of Great Britain recognised Julie as a writer of promise and organised a rehearsed reading of her play Guilt at the Leicester Square Theatre, London. In 2010, after being selected by the National Theatre, London to participate in a new playwriting project her work was directed by NT director Lisa Spirling at Venue Cymru, Llandudno. After achieving a first class honours degree in English Literature and Creative Writing at the University of South Wales, Julie was commissioned by Coleg Morgannwg to write Black Boots and Petticoats which was produced by Cilgwyn Theatre Company. Since graduating with distinction from Bath Spa University with a Masters in Scriptwriting , Julie has had work produced in St David’s Hall, Cardiff; Aberystwyth Arts Centre; Burdall’s Yard, Bath; The Bierkeller Theatre, Bristol and at The Victoria Rooms, Bristol. Julie was mentored by the playwright and dramaturg Kaite O’Reilly for three years as part of a scriptwriters development programme organised by Ty Newydd, the National Writers Centre for Wales. She has developed work with Sherman Cymru, Cardiff as part of the ‘Spread the Word’ project and will be producing a site-specific play, Postcards in 2015. 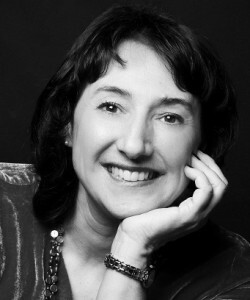 In addition to scriptwriting, Julie is a theatre critic and a regular contributor to the Wales Arts Review. Her latest reviews can be read online at www.walesartsreview.com. She has also won awards for her poetry from Ian McMillan (2010) and Simon Armitage (2012) and is working on an anthology of poetry about the love letters of famous couples. Currently an Associate Lecturer in Scriptwriting at Cardiff Metropolitan University, Julie has also lectured in creative writing at the University of South Wales and Coleg Morgannwg. National Association of Writers in Education.